Photo of embroidery on a school uniform garment. Help and advice with school logo design and application. FREE, quick and straightforward embroidery/print logo set-up. FREE embroidered/printed sampler for approval. 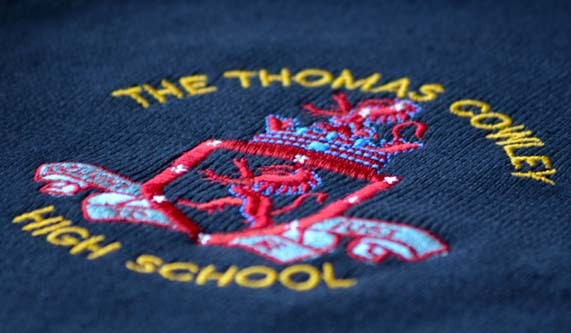 To discuss embroidery/print with our logo specialists, please call 01773 837379.